A number of studies have shown that domestic violence, alcohol abuse, and drug abuse are often linked – one such study conducted by the National Institute of Justice found that both those who abuse their partners and abuse victims are more likely to abuse drugs and alcohol than those who do not report domestic abuse. Another study found that the majority of domestic violence incidents involve some type of substance use or abuse. However, the same study mentioned above is quick to point out that the connection between domestic abuse and substance abuse is extremely complex – it is not simply cause and effect. 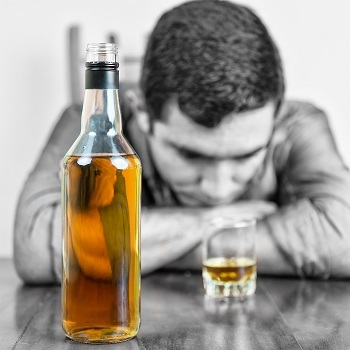 To explain further, researchers have found that alcohol does not simply cause domestic abuse and should not be used as an excuse for domestic violence; in fact, many people with substance abuse issues are not abusive to their families, and many people who are abusive to their families do not struggle with drug and alcohol addiction. Even more interestingly, even abusers who were drunk or on drugs during their last domestic violence incident say that they also engaged in family abuse while sober. Some researchers believe that the root causes both substance abuse and domestic abuse may be similar – such as a history of childhood abuse. Other researchers believe that substance abuse merely intensifies acts of abuse and increases the number and severity of domestic violence incidents. Whatever causes the link between domestic violence and substance abuse, it is important for us to understand that the two issues shout not be treated separately. Far too often, a person convicted of a domestic violence charge is not given assistance with his or her drug addictions, while those who enter substance abuse programs are often not counseled regarding their history of abuse and violence.